An update to Adobe Photoshop has brought Touch Bar support to the brand new Apple MacBook Pro. The update enables various interactions with the photo editing software, with commands split into three function categories - Layer Properties, Brushes and Favorites. We're still unsure as to how much design professionals will prefer using the MacBook Pro's Touch Bar to standard mouse and keyboard controls here at T3 Towers, however, this added functionality does seem like it has been thought through in terms of ease of accessibility and, well, you'll never know unless you give it a spin. 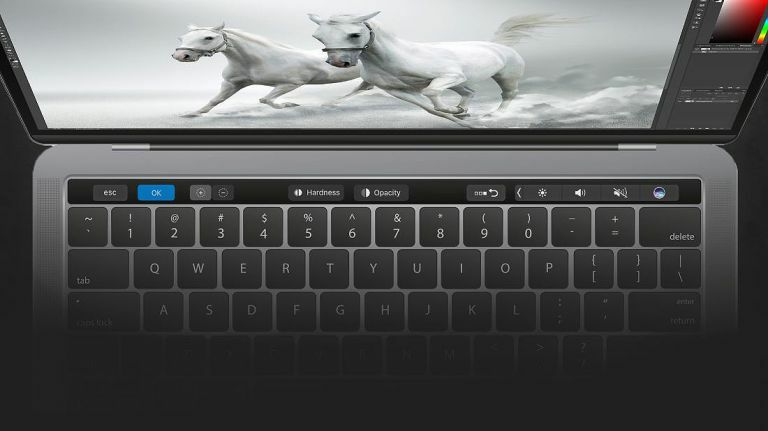 For more information about the Touch Bar's Photoshop capabilities then head on over here. While to install the Photoshop update, navigate to Help and then Updates.